The home supports and nurtures vulnerable, high-risk South Africans that can’t afford to feed themselves. 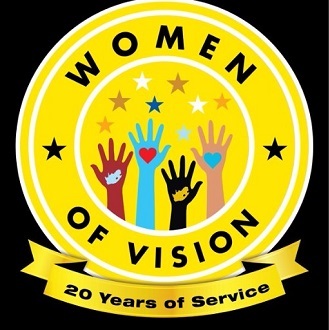 Women of Vision was founded on the 16th December 1996 when a group of women in the Westbury community came together to support those who couldn’t care for themselves. The Women of Vision aimed to restore dignity and respect amongst local children, young women and the elderly. These community members are deemed vulnerable because of abuse and abandonment within their community and needed the support of a generous organisation. The mandate of Women of Vision is to address the high level of gansterism, teenage pregnancy, substance abuse and domestic violence, which is prevalent in the area. Women of Vision provide support, nutrition and protection for orphans, the elderly and persons who are unable to work, too. The home regularly supports upward of 220 people with food parcels, four times a week – but this hinges on the availability of food. “We have many orphaned and vulnerable children in our care as well as pensioners with no family members who are taking care of grandchildren. We also provide ongoing educational programmes and we’re able to ensure no one in our care goes without food. It’s impossible for hungry children to learn or thrive, so we ensure the success of the community’s future by keeping the children fed,” says a representative of the home. To orphans and vulnerable children, Women of Vision provide food parcels, toiletries, stationary and uniforms. They also operate Dorcas Day Care Centre, which provides quality Grade R foundation education and because of the savings from FoodForward SA’s donations they can subsidise a limited number of learners. Women of Vision also offer aftercare facilities and extra mathematics and language tutoring, to support the children of the community. But, they also offer evening classes for adults to help uplift the community and allow adults to pass their matric. For the past 10 years, Women of Vision have been able to provide a Christmas lunch for approximately 500 children and elderly people at the Westbury Recreation Centre. Generous volunteers assist them every year in providing the food and ensuring that the vulnerable people of the community are served a special meal on a special day. The home thanks Food Forward SA for its support.